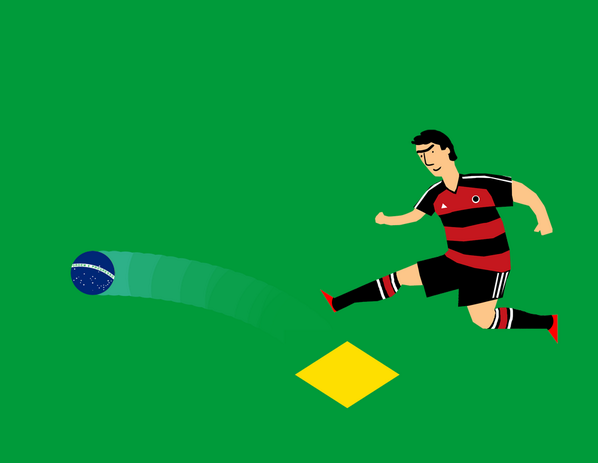 Here are some of the better memes I've collected during the World Cup. 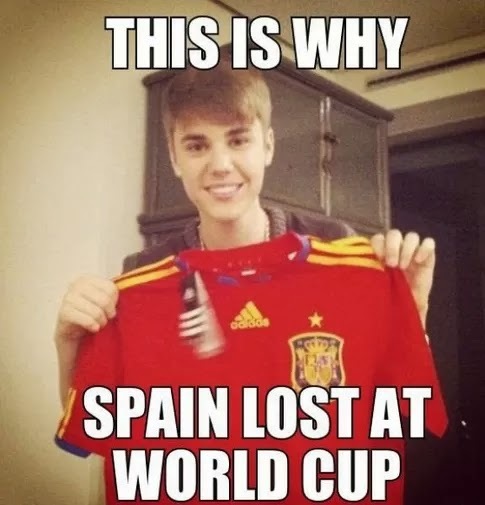 Justin Bieber picking Spain to win is the reason why they were booted from the Group Stage. 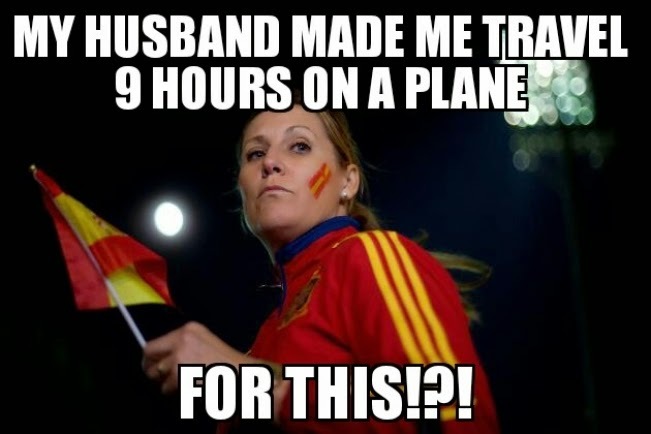 Spanish wives angry at their husbands for making them fly to see their team lose early. 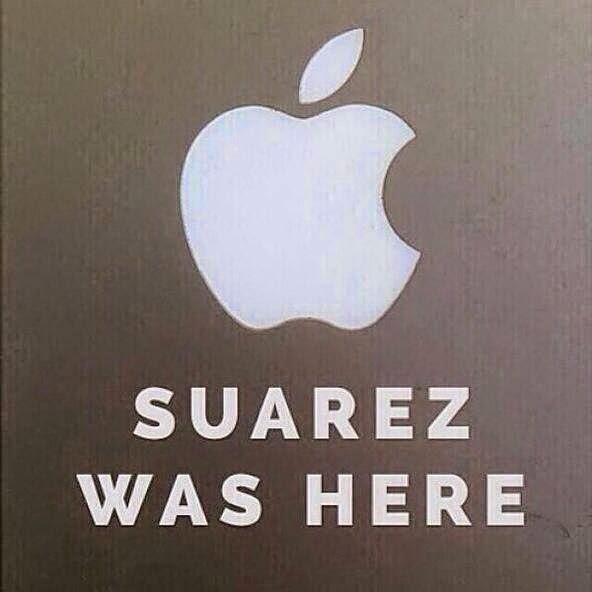 Suarez bit Apple's logo, when it was first made, and it stuck from there on out. 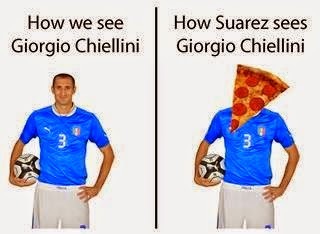 How Suarez sees his opponents. 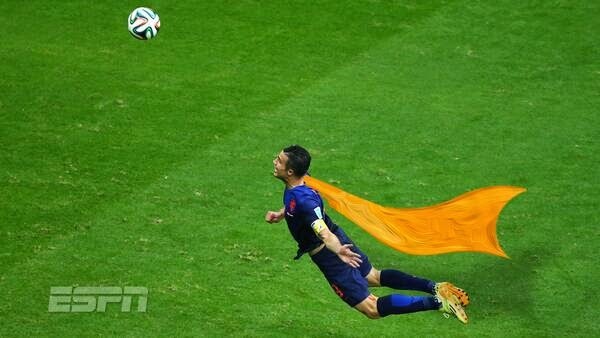 Robin Van Persie doing his best Superman impression. 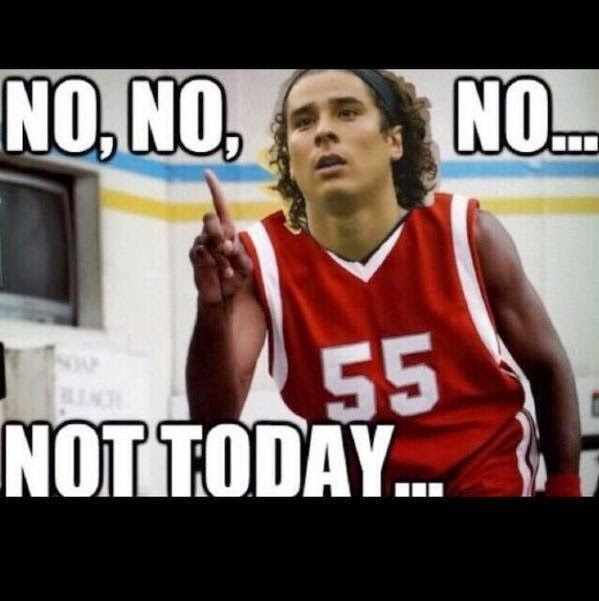 Mexico's goalie, Ochoa, doing his best Mutombo impression during the World Cup. 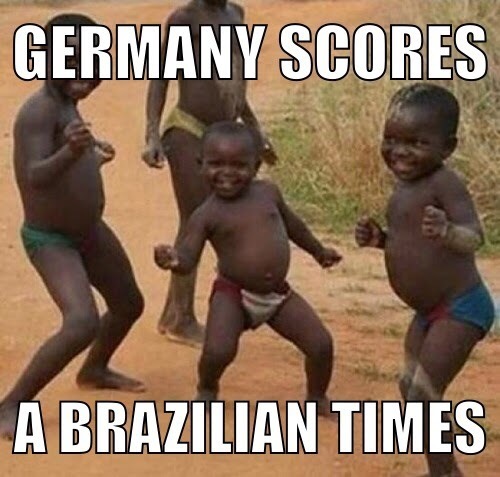 Germany went on to beat Brazil 7-1 in the finals and this glorious meme came about. The globe, or in this case, soccer ball was kicked out of Brazil's national flag by a German player.